Uber was founded by Garrett Camp, the founder of StumbleUpon, and Travis Kalanick in 2009. By the end of 2011, Uber had raised $44.5 million in funding. That year, the company changed its name from UberCab to Uber. The company expanded into a new city each month starting in May 2011, including New York City, Chicago and Washington, D.C. The Uber app’s coverage expanded toParis in December 2011. 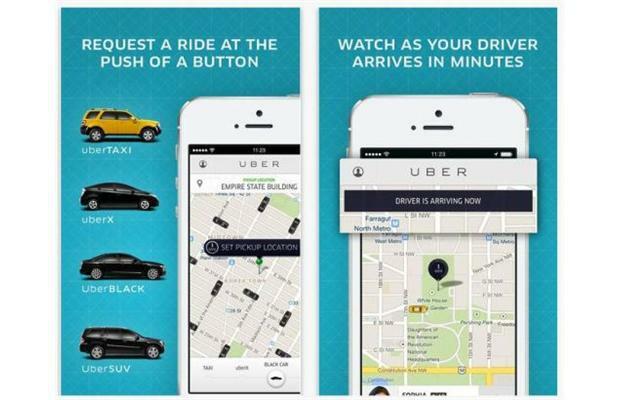 In May 2012, Uber launched a beta test in Philadelphia, followed by an official launch in the city that June. Uber expanded rapidly into overseas markets in 2012 and 2013. Paris was the first city outside of the U.S. where Uber’s service began operating in December 2011 prior to the international LeWeb Internet conference. In 2012 it launched its services in Toronto, Canada, a 90-driver launch in London, a Sydney, Australia launch in November 2012, and a soft launch in Singapore in January 2013.Sydney was Uber’s first launch in the Asia Pacific region. Consumers in Johannesburg, South Africa, were able to use Uber after it was launched in September 2013. Uber was then started in Cape Town on October 10, 2013, after a six-week “testing phase”. In August, the company began offering its ride services in Seoul. In June 2014, Uber launched its services in Tijuana, Mexico. In June 2014, Uber announced that it had raised $1.2 billion in funding, and it publicized an $18.2 billion valuation. In summer 2014, Uber announced it had raised $1.5 billion in venture capital. Following a soft launch of the Uber app in the Sanlitun shopping district in March 2014, an official launch was held in Beijing, China, in mid-July 2014. The company’s service operates in China’s four largest cities. In July 2014 Uber announced a nationwide rollout of UberX in India. In addition to a Bangalore presence, Uber’s inaugural Indian location that was publicized in August 2013, drivers in Delhi, Hyderabad, Chennai, Mumbai and Pune made UberX available to users in those cities Although the Metropolitan Government of Seoul stated in mid-2014 that it would seek to ban Uber from operating in its jurisdiction, while also developing its own Uber-like app for registered taxis to be launched in December 2014, Uber introduced its UberX service in the city at the end of August 2014. According to the Wall Street Journal, UberX uses a “for-pay rideshare scheme” and “trips cost less than the same journey in an ordinary taxi”. At the time of the launch, an Uber representative based in Seoul said that a charge will not apply to rides in Seoul until further notice. The company launched black car services in Warsaw, Poland and uberX services in Seoul. Uber also began its services in Anchorage, Alaska in September, 2014. Drivers in Warsaw began using the Uber app on August 18, 2014. The service was launched in Montreal in October 2014. The service was introduced in Denmark in November 2014, but only the Uber Black was available in the capital city of Copenhagen, while UberPOP was scheduled to be added at a later stage. On November 28, 2014, Thailand’s Department of Land Transport declared Uber’s continued operation within Thailand illegal. Uber unveiled Ice Prince Zamani as the Rider Zero in Lagos, Nigeria in July 2014, signifying its launch in the largest city in Africa and most populous country in Africa. Uber launched its service in Nairobi, Kenya, on January 21, 2015. Nairobi was Uber’s first city in Kenya and in the East African region. On the same day as the Nairobi launch, Uber raised US$1.6 billion in convertible debt from wealth management clients of Goldman Sachs Group Inc. In 19 November 2015 Uber started operating in Vilnius, Lithuania. Google Ventures invested $258 million in 2013. The Chinese search engine Baidu made an investment in Uber in December 2014 in a deal that also involved connecting Uber with Baidu’s mapping apps. As Uber grew internationally, it also began to experience disputes with governments and taxi companies in those regions. In April 2014, Uber was banned by the government in Berlin, although the company remains active in other German cities. The ban is still being discussed as of December 2014. 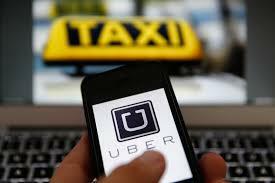 Taxi drivers in London, Berlin, Paris and Madrid staged a large-scale protest against Uber on June 11, 2014. Also in February 2015, Uber announced a collaboration with Carnegie Mellon to found the Uber Advanced Technology Center, a new facility in Pittsburgh meant to support research in the development of self-driving vehicles. Additionally, Uber expanded its UberPOOL services to Los Angeles and New York City, expanding further in March, to offer UberPOOL in Austin, Texas, in anticipation of the South by Southwest festival. In April 2015, Uber renamed its UberFRESH program as UberEATS and expanded the service to include Barcelona, Los Angeles, Chicago and New York City. The following month, Uber launched its UberMilitary Families Coalition, a new project to support its existing UberMilitary initiative. The project seeks to partner Uber with existing military family organizations and hire more military dependents, in addition to veterans, as drivers. Also in May 2015, Uber updated its app to include accommodations for drivers who are deaf or hard of hearing. MAKE GOOD MONEY: Got a car? Turn it into a money machine. The city is buzzing and Uber makes it easy for you to cash in on the action. Plus, you’ve already got everything you need to get started. DRIVE WHEN YOU WANT: Need something outside the 9 to 5? As an independent contractor with Uber, you’ve got freedom and flexibility to drive whenever you have time. Set your own schedule, so you can be there for all of life’s most important moments. NO OFFICE, NO BOSS: Whether you’re supporting your family or saving for something big, Uber gives you the freedom to get behind the wheel when it makes sense for you. Choose when you drive, where you go, and who you pick up.